Music. Everybody loves it. Personally, I really like hardstyle music the most. Music loops are used all over the internet, mainly found in Flash animations. Those loops are created on a computer, but here are 5 very cool interfaces that allows you to create your own music loop. Of course you can also download buy software for this, like Fruity Loops. 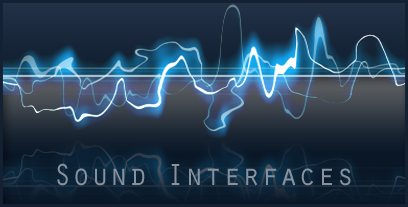 Here are 5 wicked sound loop interfaces, in random order. The beat-bearing is a tangible sequencer. Simply order the metallic balls to create a sound loop. It also looks good, but the beat is pretty slow. The Tenori-On looks a bit like the BeatBearing, but is way more advanced. It's fun to do, just check out the video. For more information, go to the Tenori-on website. Placing blocks is what everyone can do, even kids. This beat block interface can give placing blocks a whole new dimension. This is a DIY interface and works with a camera watching down on the paper. By placing the blocks, the computer will give the sound from the selected drum. Visit the creators website. The waveTable is a sound wave editor with a tangible interface. Simply place the blocks and move them around to create a stunning beat. Even though it looks like a lot of fun, I think it's pretty hard to create really good music samples. I found this bubblegum sequencer after I posted this article, but I still want to place it here since it's so cool. The Reactable looks a lot like the WaveTable, but is more advanced. It is a collaborative electronic music instrument with a tabletop tangible multi-touch interface. For more information, view the Reactable website. The Xenakis is anoter tangible multi-touch interface. This one doesn't only look good, it can produce pretty nice music loops. For more information, visit the Xenakis website.